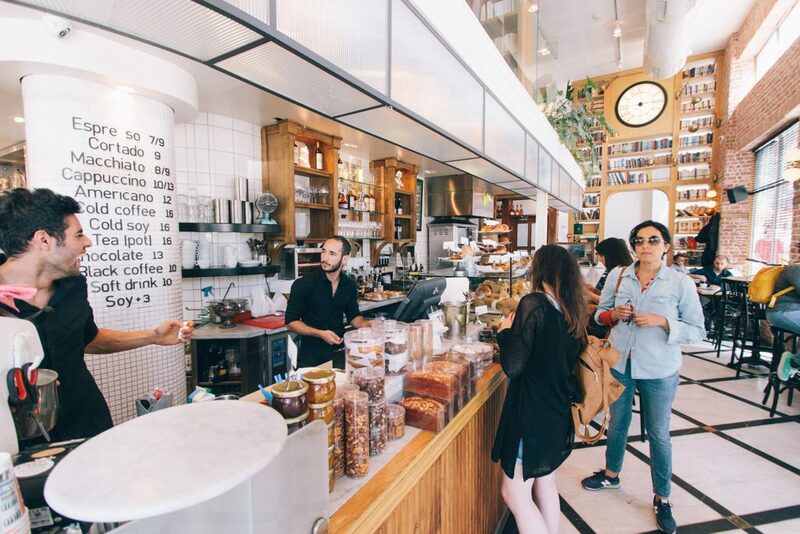 Do you want to motivate your customers into visiting your restaurant and keep them coming back again and again and improve your restaurant’s marketing strategy? The answer for accomplishing this may surprise you: Think mobile 2D barcode. The mobile 2D barcode opens a world of possibilities for you to enhance your restaurant marketing strategy. 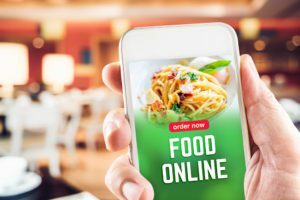 Traditional food service restaurants and quick service restaurants (QSRs) are using 2D barcode technology to create marketing campaigns that are popular among customers. Instead of mass marketing, like an advertisement on a website, think one-to-one mobile campaigns. We all love our smartphones, and your customers are no different. 2D barcode technology allows you to place timely, relevant offers to your customers on an individual level. Here’s an overview of how you can use it to generate more business in your restaurant. Mobile barcodes are like the ones you find on inventory in your kitchen. Basically, when a barcode gets scanned, you can interpret the data to fit your needs. Unlike paper barcode labels, the mobile barcode is electronic—it’s displayed on the screen of a mobile phone or tablet. The two types of barcodes are 1D and 2D. For restaurants, a 2D barcode usually works best because it has greater data capacity. With 2D, you can collect more detailed information from your customers. This allows you to create more personalized and customized offers. A 1D barcode can have a single piece of data. It works well for coupons, for example. 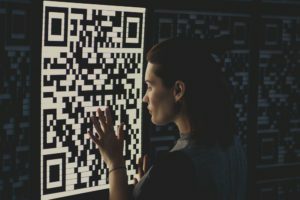 What Can You Do with a Barcode? 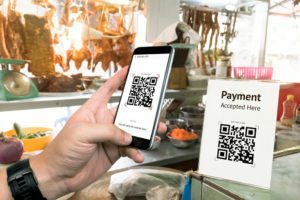 Because you can market to your customer’s mobile phone, the sky’s the limit on what you can do with a barcode in your restaurant’s marketing efforts. Since they always have their mobile device, you can reach customers instantly. You can market based on location by using GPS technology, which works well for customers who are near your restaurant. With barcodes, you can reach your customer when they are deciding where to eat and drive them toward your restaurant with enticing marketing. The technology also makes life easier for your staff and customers. Cashiers at QSRs can keep lines moving. Restaurant employees will have more time to focus on serving customers. Customers in loyalty programs or with a coupon only have to remember their phones—searching for physical cards or cutting of paper coupons is not required. Are you fearful about switching over to mobile coupons? Don’t be. 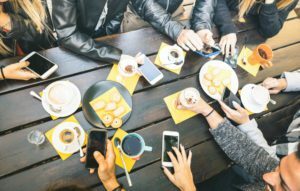 A 2016 study by Vibes, a mobile marketing solution, found 82 percent of customers would rather use mobile coupons, making them a great addition to your restaurant marketing plan. With a mobile coupon program, your customers will always have a reason to eat at your restaurant in their pocket. Rather than worry about the competition, especially for QSRs, you can let your customers choose how they want the coupons delivered (website, SMS, etc.). How many times have you used a gift card? Allow your customers to send electronic gift cards to their friends, and you’ll see increased redemptions. Because electronic gifts are convenient, they are a great item to have at your restaurant. Market them as gifts and deliver to the recipient in seconds. What better way to reward your best customers than to set up a loyalty program they can access through their phones? With barcode technology, you can make the loyalty program convenient for your customer. In fact, the Vibes survey reported that 66 percent of respondents would have a more favorable opinion of mobile loyalty cards. Barcoding technology also has many different uses, including payments and menu ordering. To make the most of mobile barcoding technology, you will need high-quality scanners that can capture all the information. Zebra is the leader in scanning technology. Its line of imagers can accurately capture data in any environment and on highly reflective displays found on mobile phones or tablets. Zebra’s scanners are easy to use and offer many benefits. We can help you integrate them into your current restaurant marketing operations. Contact our technology experts at Main Street, Inc., for a free consultation. Call 866-767-6472 or email us.